The increase in the college premium­—the differential in what is earned by college graduates compared with what is earned by those with high-school diplomas—is a major factor contributing to rising inequality in America. A widely cited study by the economists Claudia Goldin and Lawrence F. Katz, The Race Between Education and Technology, reveals a sharp increase in the salaries of individuals with college diplomas and advanced degrees, because of the need for better-educated workers in our increasingly complex economy. According to Goldin and Katz, the college premium accounted for roughly 60 percent of the growth in wage inequality from 1973 to 2005. And the increasing demand for educated workers has led to tuition increases, especially since the 1980s. The net result is that elite institutions now feature a disproportionate number of students from affluent backgrounds. Recognizing the problem, Harvard University, where I teach, has instituted a scholarship program that provides virtually free tuition for students from middle- and lower-income families in the United States. Other rich elite universities, like Princeton and Yale, have followed suit. Nonetheless, the number of low-income students in the nation’s colleges and universities remains distressingly low. In many institutions, enrollments of lower-income students have actually declined. In 2003 more entering freshmen at the University of Michigan at Ann Arbor came from families earning at least $200,000 than were from the entire bottom half of the income distribution. And a study by Anthony Carnevale revealed that while 67 percent of the entering freshmen in the class of 2010 at the 193 most selective colleges came from the top fourth of the earnings distribution, only 15 percent came from the bottom half of the distribution. It is obvious that more steps have to be taken to attract low-income students. Institutions of higher learning may not be able to directly influence preparatory programs to enter college, but they can focus on creative ways of recruiting lower-income students—and, given the continuing tuition hikes, on more-comprehensive need-based scholarships and aid packages. 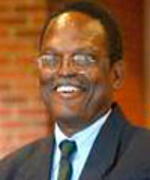 William Julius Wilson is a professor of sociology and social policy at Harvard University. This essay was originally published in The Chronicle of Higher Education, July 2, 2012.